Based in San Francisco, Lending Club is one of the largest peer-to-peer lending platforms in the world, and it was one of the first companies to offer both securities and loan trading. It started out as one of the first apps offered on Facebook, and it has grown tremendously since then. In recent years, it has gotten harder for people to get a loan through traditional means. This created a demand that only private industry could fulfill. Companies like Lending Club gave borrowers the ability to connect with private lenders, even if their credit was less than perfect. They offer both personal and small business loans at a lower interest rate than many commercial banks, but there are still some basic qualifications that have to be met before you can get approved. You will have to prove your creditworthiness before you’re able to take out a loan, but you don’t have to be the Patron Saint of Finance to qualify. See Lending Club Pricing and DetailsStart getting solid returns today! Lending Club offers both personal and small business loans between $1000 and $35,000, and most of them have a three-year amortization period. Five-year loans are available, but you will have to pay a higher interest rate. Lending Club loans are not secured by the FDIC, but it is still a safe and legitimate way of lending money. Plus, lenders will be able to evaluate the creditworthiness of every borrower they contact. The website gives a summary of every borrower’s credit score, credit history, and debt-to-income ratio. Small business owners will be able to connect with prospective investors who are looking to offer assistance to an organization they believe shows promise. Investors and lenders will make money on the interest, which can fall anywhere from 6% to 26%. The exact amount of interest will depend on the credit rating of the borrower. Once the loan is approved, Lending Club takes ownership of it. They purchase it from the bank, and they will take the responsibility of paying it back. Lending Club makes their money by charging a fee to both the borrower and the lender. Borrowers are charged an “origination fee,” and lenders are charged a “service fee.” This can be a benefit for the lender because it helps to minimize risk of lending money. For borrowers, however, it is imperative that they make their payments on time to avoid any collection efforts from Lending Club. But there is a silver lining to this proverbial cloud. Lending Club does not charge any late fees or penalties for payments that are not made on time. This can be an advantage because we all know that sometimes life can get in the way. So, in that sense, being late on a payment will not put you further in the hole. Lenders will be able to make an evaluation of a borrower’s overall “credit risk,” and they will be able to see how many loans have gone into default. This information can be helpful, so you can avoid lending money to someone who has a history of being a deadbeat. After all, the last thing you want is to send money to someone who will never pay it back. 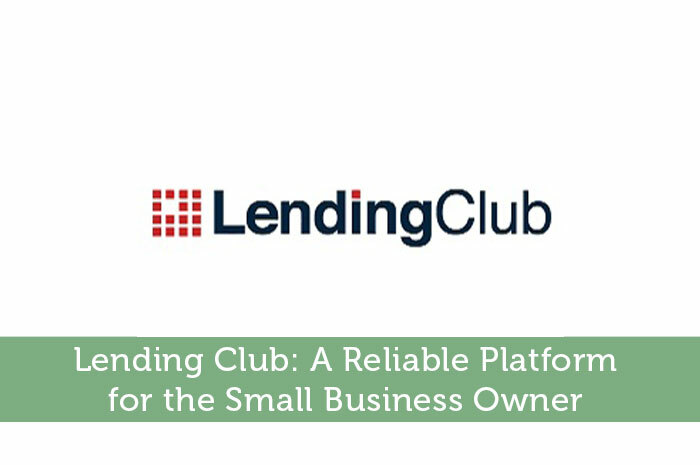 Like any company, Lending Club has both its advantages and disadvantages, but it’s still a safe and easy way for an individual or small business to get the money they need. Even though they are not secured by the FDIC, there are some safeguards in place to protect lenders from some of the risks. So, if you’re looking for a loan to get your startup off the ground, you should give this company a serious look.